 By choosing Coronado as your new home, you have the convenience of being located across the street from Saint Louis University as well as access to the below retail located at right at our community! Whether you need an event planned and catered, or you just want to stay in and bowl or watch a movie. All of these options are available at your fingertips when you live at Coronado! Want to watch a movie with your friends without having to jump in the car and drive? The Moolah Cinema and Lounge is a historic building built in 1912 and located at Coronado. Renovated in 2012 to a movie theater, Moolah features newly released movies weekly and is the perfect spot, just steps from your apartment. Moolah Lanes - St. Louis' newest and most exciting entertainment venue. We are proud to inaugurate one of the two remaining original bowling alleys in St. Louis. Have your corporate event or birthday party at the most glamorous entertainment venue in St. Louis. Come and have fun with us, located at Coronado. Founded in 1966, Butler’s Pantry was the dream of Richard L. Nix, Sr. and his wife Anita. It was their desire to provide the most creative and innovative catering solutions to the community in which they lived, worked and loved.Catering weddings, corporate, social and non-profit functions is what we do. But passion for food and the people we prepare it for defines who we are.